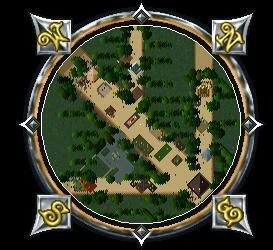 The City of Heartwood is an area accessed only through a portal located in the center of the town of Yew. The Elfs live high in the branches of a vast tree, known as the world tree. The City of Heartwood exists outside of Sosaria, yet the roots of the tree have a magical connection with the land of Sosaria. This mystical tree is simultaneously experiencing all seasons, a different season in each quarter of its girth. Where the Elfs have made their homes, it is always early spring. The Heartwood is extremely different from other Sosarian cities, because Elfs approach life differently than Humans. Just like a human city, you’ll find Elfs of all professions and backgrounds there, with most being neutral or somewhat friendly towards humanity. However, most Elfs aren’t interested in gold and so they often are willing to trade what they have for something they want. the City is also the source of many recipes for wondrous elfish items. 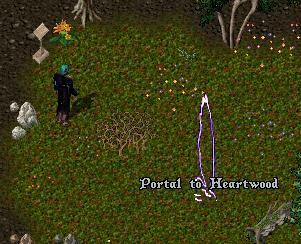 The elfs of Heartwood are a source of many quests, for all different character templates and levels. This page was last modified on 27 May 2009.